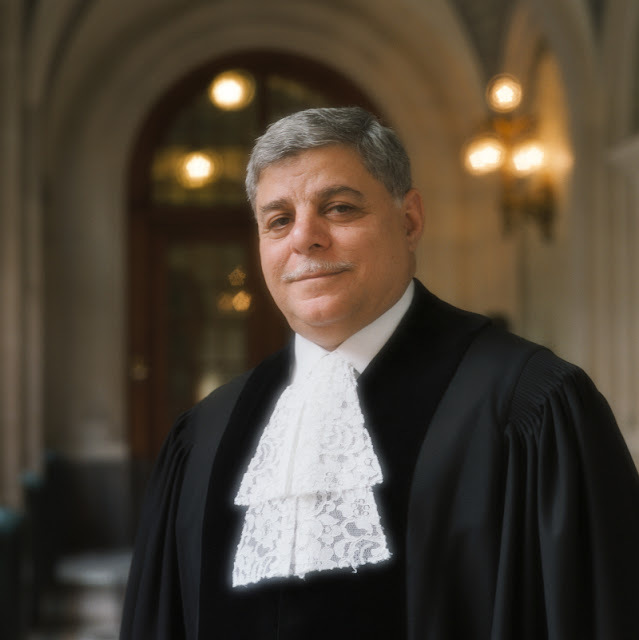 Judgement: Dissenting opinion of Judge Al-Khasawneh, Vice-President of the International Court of Justice. The Court’s jurisdiction is established - Serious doubts that already settled question of jurisdiction should have been re-examined - SFRY’s United Nations membership could only have been suspended or terminated pursuant to Articles 5 or 6 of the Charter; Security Council and General Assembly resolutions did not have the effect of terminating the SFRY’s United Nations membership - The FRY’s admission to the United Nations in 2000 did not retroactively change its position vis-à-vis the United Nations between 1992 and 2000 - Between 1992 and 2000, the FRY was the continuator of the SFRY, and after its admission to the United Nations, the FRY was the SFRY’s successor - The Court’s Judgment in the Legality of Use of Force cases on the question of access and “treaties in force” is not convincing and regrettably has led to confusion and contradictions within the Court’s own jurisprudence - The Court should not have entertained the Respondent’s highly irregular 2001 “Initiative” on access to the Court, nor should it have invited the Respondent to renew its jurisdictional arguments at the merits phase. Serbia’s involvement, as a principal actor or accomplice, in the genocide that took place in Srebrenica is supported by massive and compelling evidence - Disagreement with the Court’s methodology for appreciating the facts and drawing inferences therefrom - The Court should have required the Respondent to provide unedited copies of its Supreme Defence Council documents, failing which, the Court should have allowed a more liberal recourse to inference - The “effective control” test for attribution established in the Nicaragua case is not suitable to questions of State responsibility for international crimes committed with a common purpose -The “overall control” test for attribution established in the Tadić case is more appropriatewhen the commission of international crimes is the common objective of the controlling State and the non-State actors ⎯ The Court’s refusal to infer genocidal intent from a consistent pattern of conduct in Bosnia and Herzegovina is inconsistent with the established jurisprudence of the ICTY - the FRY’s knowledge of the genocide set to unfold in Srebrenica is clearly established - The Court should have treated the Scorpions as a de jure organ of the FRY - The statement by the Serbian Council of Ministers in response to the massacre of Muslim men by the Scorpions amounted to an admission of responsibility - The Court failed to appreciate the definitional complexity of the crime of genocide and to assess the facts before it accordingly. 1. I feel that I should explain the nature of my dissent before explaining the reasons for it. I am not in total disagreement with the majority: regarding jurisdiction, I come to the same conclusion contained in paragraph 1 of the dispositif that the Court’s jurisdiction is established, although I have serious doubts, whether in terms of the proper administration of justice, the already settled question of jurisdiction should have been re-examined in the Judgment. 2. I, likewise, concur with the findings (paragraphs 5-7 of the dispositif) dealing respectively with Serbia’s violation of its obligations under the Genocide Convention to prevent genocide in Srebrenica and to co-operate fully with the International Criminal Tribunal for the former Yugoslavia; and its failure to comply with the two Orders on provisional measures issued by the Court in 1993. 3. Where, however, my learned colleagues and I part company is with respect to the central question of Serbia’s international responsibility incurred as a consequence of its involvement - as a principal actor or an accomplice - in the genocide that took place in Bosnia and Herzegovina. Such involvement is supported, in my opinion, by massive and compelling evidence. My disagreement with the majority, however, relates not only to their conclusions but also to the very assumptions on which their reasoning is based and to their methodology for appreciating the facts and drawing inferences therefrom, and is hence profound. Therefore, notwithstanding my agreement with some parts of the Judgment, and much to my regret, I am duty and conscience bound to dissent. In explanation of this position I append the present opinion. 4. The jurisdictional issues in the present case have revolved around the international status of the Respondent and its membership in the United Nations. Those issues, which permeated all phases of this case and other related cases, can be traced to the State succession arising out of the process of disintegration of the Socialist Federal Republic of Yugoslavia (SFRY) which took place in the early 1990s. Briefly described, that process - for it has to be emphasized that there was no agreed point in time when the SFRY could be said to have been extinguished (1) - started when both Slovenia and Croatia seceded from the SFRY on 25 June 1991. Macedonia did the same on 17 September 1991 and Bosnia and Herzegovina, the last to secede, followed on 6 March 1992. Only two constituent republics, Serbia and Montenegro, were left in the old Yugoslavia and on 27 April 1992 they joined to form the Federal Republic of Yugoslavia (FRY) which claimed to be the continuator of the SFRY and declared its intention “to strictly abide by all the international commitments” of the SFRY as well as to remain “bound by all obligations to international organizations and institutions whose member it is”(2). 5. While the four Republics that emerged from the SFRY were admitted to United Nations membership in 1992 and 1993, the FRY’s claim to continuity was noted by the Security Council on 30 May 1992 as a claim that “has not been generally accepted”(3). Again the Security Council, on 19 September 1992, considered that the SFRY had ceased to exist, recalled its earlier resolution, and considered that the FRY “cannot continue automatically the membership of the former Socialist Federal Republic of Yugoslavia in the United Nations; and therefore recommend[ed] to the General Assembly that it decide that the Federal Republic of Yugoslavia (Serbia and Montenegro) should apply for membership in the United Nations and that it shall not participate in the work of the General Assembly”(4). Two days later the General Assembly adopted a resolution in which inter alia it decided that the FRY “should apply for membership in the United Nations and that it shall not participate in the work of the General Assembly”(5). 6. Both the language of the resolutions and their negotiating history suggest that they were compromise resolutions that fell short of terminating or suspending SFRY membership in the United Nations (6). In fact under the United Nations Charter, there is no way in which the SFRY membership could have been terminated given the veto power of the permanent members, some of whom were as opposed to such a termination as others were keen on it. In any case, the requirements for suspension (Charter, Art. 5) or expulsion (Charter, Art. 6) were never invoked by the Security Council nor put into motion. The FRY clung to its membership claim with the result that “the only practical consequence that [General Assembly resolution 47/1] draws is that the Federal Republic of Yugoslavia (Serbia and Montenegro) shall not participate in the work of the General Assembly” (letter of the Under-Secretary-General and Legal Counsel of the United Nations; incidentally the only legal authority to appraise the matter in what was an otherwise blatantly political process). That letter from the Legal Counsel of the United Nations left no room for doubt. It went on to state “on the other hand, the resolution neither terminates nor suspends Yugoslavia’s membership”. 8. At no time was the SFRY extinguished as a legal person internationally recognized as such. There were always States that continued to recognize the FRY as the continuator of the SFRY though there were others who took the opposite view. This state of affairs is typical of the relativism inherent in the constitutive theory of recognition and in itself prevents the drawing of any firm inferences. The only way to ascertain whether there was continuity or extinction of the SFRY is by reference to the actual or legal elements surrounding the succession of States which can be measured against an objective yardstick. It is indisputable, for example, that the capital of the SFRY was still within the borders of the FRY and that Serbia (an ancient kingdom) and Montenegro formed the historic nucleus of Yugoslavia and continued even after the loss of the four Republics - which happened at different times - to have 40 per cent of the land mass of the former Yugoslavia and 45 per cent of its population (8). Moreover, it is also factually indisputable that in the Forty-sixth Session of the General Assembly, the SFRY, even after Slovenia, Croatia and Macedonia had broken away, was still considered a United Nations Member and the credentials of its representatives were not challenged. Of equal importance is that even in the Forty-seventh Session of the General Assembly no challenge to the credentials of its representatives was made (9). In other words, the rump Yugoslavia, later the FRY, was treated as a continuator of the SFRY. There was nothing out of the ordinary in this. It was supported by the classic models of the succession of India and Pakistan from the Commonwealth of India; then later the Pakistan/Bangladesh succession; and the dissolution of the Union of the Soviet Socialist Republics; and it accorded with the principle adopted by the Sixth Committee already referred to. Moreover, the nature of Security Council resolutions 757 and 777 and General Assembly resolution 47/1, appreciated contextually, lends strong credence to the claim that their main aim was in the nature of sanctions. It should not be overlooked in this respect that news of the atrocities committed in Croatia and Bosnia were being carried world-wide to a shocked international public opinion and blame for the most part was being laid on the doorstep of the government of Mr. Milošović and hence sanctions were started even when the SFRY was still in existence (10). 9. Whatever may have been the case with regard to the intended or unintended effects of those resolutions, the decisive fact is that once SFRY membership in the United Nations had been ascertained and that this membership had survived the breakaway of Croatia, Slovenia and Macedonia which was similarly indisputably the case in the Forty-sixth Session of the General Assembly, and of Bosnia which was similarly the case in the Forty-seventh Session of the General Assembly, the Security Council and General Assembly resolutions adopted did not, and more importantly, could not, have terminated or suspended that existing membership. Only the SFRY, of its own volition, could give up its original membership and it was naturally not inclined to do so, given not only the strength of its claim, but additionally, because, had it abandoned its membership, it would have put itself at the mercy of the “peace-loving formula” (United Nations Charter, Art. 4, para. 1) which, contextually, it had ample reason to believe some, including some in the Security Council, would not easily apply to it. As already stated, the FRY clung to its membership and suffered only the sanction of non-participation in the work of the General Assembly and the Economic and Social Council (ECOSOC) where a similar resolution was adopted (11). 10. Indeed there is post-Dayton evidence to suggest that had the FRY persisted in its claim as a continuator, it would have triumphed. For we can glean, for example, acceptance of that claim from the treaties that it entered into with Croatia, Bosnia and Macedonia (12). The acceptance by the successor States of that claim is especially significant given their closeness to the process of succession. This thesis, however, could not be fully tested because the nascent normalcy was shattered by Mr. Milošović’s attack on Kosovo in 1999 resulting in disastrous consequences for the FRY and, not least, for himself as evidenced by his fall from power. A new government replaced him and decided to embark on a new course. It applied to the United Nations as a new Member and was accepted as such in 2000, thereby abandoning of its own will the claim of continuity. From that moment on and only from that moment on it became a successor of the SFRY and not its continuator. 11. Curiously, the fact of FRY admission to the United Nations in 2000 was viewed as retroactively clarifying the Respondent’s hitherto amorphous status vis-à-vis the United Nations in favour of the conclusion that in the period 1992 to 2000 it was not a United Nations Member. It was also argued that the FRY’s admission “revealed” a lack of United Nations membership and toppled the assumption which was based on the existence of an amorphous situation, making it now impossible to ignore the question of the FRY’s access to the Court. Nothing could be more debatable. The logic of the argument seems at first glance to be straightforward: admission as a new Member means that the FRY was not a Member before the date of admission. But here we are not dealing with a State that had never been a United Nations Member. Rather we are faced with a State that assiduously maintained it was the continuator of an original United Nations Member and which had to relinquish a strong claim to continuity and apply as a new Member in the sense of a successor State. The distinction therefore is not between a “new Member” and a “non-Member”, but between a “new Member” and an “old Member”. Seen from this angle, the act of admission does not lead to the conclusion that the FRY was not a United Nations Member. Rather, the act of admission confirms that it had been an old member by way of continuity until it abandoned that claim and took on the status of a successor. Therefore the FRY was a continuator in 1992 to 2000 and a successor after its admission in 2000. Furthermore, to argue that the SFRY was extinguished in 1992 and that the FRY was a successor of the SFRY in 2000 without first being its continuator in the intervening period creates a legal void in the intervening period of eight years, which is absurd. 12. In the post-2000 period, the claim that the FRY was not a United Nations Member and therefore lacked access to the Court became pivotal in jurisdictional rounds and ploys aimed at undoing the Court’s clearly-established jurisdiction in its 1996 Judgment on Preliminary Objections (in paragraph 34 of that Judgment, the Court indicated that it had jurisdiction rationae personae, rationae materiae and rationae temporis). Denying that the Respondent had been a United Nations Member in 1992 to 2000 was a necessary first step to the argument that it lacked “access” to the Court via that membership under Article 35, paragraph 1, of the Statute. Furthermore, this access was said to be independent from jurisdiction, even jurisdiction rationae personae, and unlike it, was objective and could not be established simply because there was consent to jurisdiction but should always be ascertained, if need be, by the Court acting propio motu. Thus, the modest idea of access (concerned primarily with granting access to States and denying it to non-States and ensuring equality for Members and non-Members) was elevated to heights that its drafters never imagined. In its latest incarnation, the concept of access could circumvent the principle of res judicata by either overturning it or by being outside the scope of the res judicata of the Court’s jurisdiction in the 1996 Judgment on Preliminary Objections (CR 2006/45, 9 May 2006, pp. 10-18.). I shall revert to these issues of jurisdiction and access to propound the view that differences between them are greatly exaggerated. I shall first, however, give an overall description of the major developments that took place after 2000. In the Respondent’s Application for revision of the Judgment of 11 July 1996 and its Initiative - both submitted to the Court in 2001, and the Court’s 2004 Legality of Use of Force Judgments, the question of the FRY’s access to the Court (including access under Article 35, paragraph 2, of the Statute) played a central role in jurisdictional arguments. Already in 2004, acting counsel for Belgium described how the Legality of Use of Force cases were being used by Serbia as “effectively . . . the fifth round in the jurisdictional contest of the Genocide Convention case which stretches back to 1993” (Legality of Use of Force (Serbia and Montenegro v. Belgium), CR 2004/15, para. 10). When one adds to that two attempts by Serbian members of the Bosnian Presidium to discontinue the Genocide case, and the latest round of jurisdictional arguments in 2006, that jurisdictional contest reached eight rounds - which is unprecedented in the history of this Court or of its Predecessor. Herzegovina v. Yugoslavia), Preliminary Objections (Yugoslavia v. Bosnia and Herzegovina), Judgment, I.C.J. Reports 2003, p. 31, para 71). 15. Be that as it may, what interests us more for the present is the reasoning followed in the Legality of Use of Force Judgments. The Court started by noting - correctly - that the aforementioned passage in the Application for Revision Judgment did not imply any decision on the status of the FRY within the United Nations before 2000. The Court went on to say that the fact of admission brought to an end the sui generis position of FRY membership - which is also correct for the future. But the Court went further and sought to derive new legal consequences - for the past - namely lack of United Nations membership between 1992 and 2000 from the fact of the FRY’s admission whereas in the 2003 Application for Revision Judgment, the Court had found it impossible to derive, from the same fact, any consequences for the past (13). The only basis for doing so was the observation that the term sui generis is a descriptive and not a prescriptive term. But this is hardly evidence or argument for nothing turns on that observation. As the joint declaration in the Legality of Use of Force cases observes, the proposition that the FRY’s United Nations membership was retroactively clarified is “far from self-evident and we cannot trace the steps of the reasoning” (Legality of Use of Force (Serbia and Montenegro v. Belgium), Judgment, I.C.J. Reports 2004, p. 479, para. 12, joint declaration of Vice-President Ranjeva, Judges Guillaume, Higgins, Kooijmans, Al-Khasawneh, Buergenthal and Elaraby,). This, with great respect, is one of the reasons why the Court’s logic in the Legality of Use of Force Judgments does not perhaps represent the zenith of legal reasoning. This is so in addition of course to its negative and regrettable impact on the broad consistency of the Court’s jurisprudence. 16. Our present Judgment considered the 2003 Application for Revision Judgment and the 2004 Legality of Use of Force Judgments in paragraphs 105-113 under the heading “Relevant past decisions of the Court”, but failed to address the contradiction between its inability to draw findings as to FRY United Nations membership in its 2003 Judgment, and drawing conclusions from the same facts in its 2004 Judgment. 17. Apart from access via United Nations membership (Statute, Art. 35, para. 1) non-Members may, as is well known, have access to the Court under Article 35, paragraph 2. The crucial question in the second route is whether the term “treaties in force” is to be interpreted to mean those treaties in force at the time of the institution of proceedings (the liberal interpretation) or those that were already in force when the ICJ Statute itself had come into force (the narrow interpretation). 18. It will be recalled that, in its Order of 8 April 1993, the Court opted for the liberal interpretation. It did so expressly in paragraph 19 of that Order. Indeed, given that it did not find the need to pronounce definitively on FRY membership in the United Nations, the liberal interpretation of Article 35, paragraph 2, of the Statute, was the sole or main ground for its provisional jurisdiction. Though not definitive, this finding carries considerable weight and should not have been lightly reversed. Moreover, this assumption was, by necessary logic, at the heart of the Court’s finding in the 1996 Judgment on Preliminary Objections that it had jurisdiction. Yet the 2004 Legality of Use of Force Judgments did not hesitate to unnecessarily reverse it. The same seven judges appending a joint declaration to that Judgment felt it “astonishing that the Court found it necessary to rule on the scope of Article 35, paragraph 2, whereas the Applicant did not invoke this text” (Legality of Use of Force (Serbia and Montenegro v. Belgium) Preliminary Objections, Judgment, I.C.J. Reports 2004, p. 479, para. 11, joint declaration of Vice-President Ranjeva, Judges Guillaume, Higgins, Kooiijmans, Al-Khasawneh, Buergenthal and Elaraby). 19. But beyond this, the reasoning followed by the Court in the 2004 Legality of Use of Force Judgments leads to the collapse of the unity of purpose of Articles 35, 36 and 37 of the Statute - for in Articles 35 and 36 the term “treaties in force” indisputably means in force at the time of the institution of proceedings. No justification for such a result is offered. 20. The Court’s conclusion in the Legality of Use of Force Judgment is based mainly on the travaux préparatoires of Article 35, paragraph 2, of the Statute of the Permanent Court, its own Statute’s travaux préparatoires yielding no firm conclusions. All that need be said in this regard is that the conclusion of the Court is at best possible but not conclusive. 21. Moreover, it is disconcerting that whilst the Court was more than ready to delve into the travaux préparatoires of a bygone era and draw conclusions by analogy (though such analogy is open to doubts given that there were no general peace treaties after the Second World War), there is no reference to the much more relevant fact that the FRY, whether or not a Member of the United Nations, was a party to the Genocide Convention. The FRY’s 27 April 1992 declaration accepting the SFRY treaty obligations amounts to its acceptance of the Genocide Convention obligations. In this respect, reference should be made to the fact that the United Nations Office of Legal Affairs considers that General Assembly resolution 43/138 (1988) amounts to a general invitation to non-Members to become a party to the Genocide Convention (14). The Democratic People’s Republic of Korea’s instrument of accession to the Genocide Convention was accepted on 31 January 1989 (more than two years before it became a United Nations Member) on this basis. No special invitation to become a party to the Genocide Convention was addressed to the DPRK by the General Assembly. In other words, given the FRY’s express acceptance of the obligations set forth in the Genocide Convention in 1992, neither its purported non-Member status nor the failure of the General Assembly to specifically invite the FRY to become a party acts as a bar to finding that the FRY was a party to the Genocide Convention at the time it filed the Application. 22. The Court’s Statute admits of only two ways for States unhappy with its judgments to deal with them: revision under Article 61 with all the attendant limitations and conditions wisely designed to safeguard the stability and integrity of judgments and/or a request for interpretation under Article 60 which could only explain but not change what the Court already settled with binding force. 23. The Respondent sought revision unsuccessfully in 2003 and could have sought interpretation - indeed the nature of its claims regarding the meaning of jurisdiction and access would lend themselves to resolution through such a request. Instead, simultaneously with its 2001 Application for revision, the Respondent presented an “Initiative” to the Court to reconsider its jurisdiction ex officio. Curiously, the reasoning and contents of the Initiative were virtually identical with the Application for revision. While the Court rejected the Application for revision on 3 February 2003, the same Court, some four months later, invited the Respondent to present new jurisdictional arguments at the merits phase. (Letter from the Registrar to the Respondent dated 12 June 2003.) This, notwithstanding that the Court itself had some seven years earlier satisfied itself that: “having established its jurisdiction under Article IX of the Genocide Convention... it may now proceed to consider the merits of the case on that basis” (I.C.J. Reports 1991 (II), p. 622, para. 46). 24. It is plain that the “Initiative” was irregular and had no place under the Statute of the Court, not because the Court could not make mistakes or refuse to rectify them, but because its Statute struck the right compromise between the fallibility of men and courts on the one hand and the need to safeguard the reasonable and legitimate expectations regarding the integrity and stability of its judgments on the other. That compromise was struck, as already mentioned, by allowing for the possibility of seeking interpretation and/or revision. It is of course true that “[t]he Court must however always be satisfied that it has jurisdiction...” (Appeal Relating to the Jurisdiction of the ICAO Council (India v. Pakistan), Judgment, I.C.J. Reports 1972, p. 52, para. 13). But, that satisfaction, no doubt motivated by a need to be meticulous in dispensing justice, must be achieved in an orderly and timely manner. Once the Court has satisfied itself that it has jurisdiction, it should move on to consider the merits - which was exactly what the Court said in 1996. 25. The serious misgivings I have, in principle, about the irregular initiative are reinforced by the fact that there is nothing in the Court’s jurisprudence to support the proposition that jurisdictional issues that had previously been decided with the force of res judicata may be reopened. Thus, in the ICAO Council case, there was no separate preliminary objections phase, nor any question of “re-examining” what had already been decided. In that case, Pakistan simply raised an objection very late in the oral proceedings after it had exhausted its ability to raise preliminary objections. The decision on jurisdiction, which was made under the Court’s general powers, did not amount to re-examining jurisdiction because it had never been previously examined. 26. Similarly, in another case cited by the proponents of the objective access theory: South West Africa (Ethiopia v. South Africa), Second Phase, the Court found that the standing of the Applicant before the Court itself, i.e., the locus standi ratione personae, which had been the subject of the Court’s decision in 1962 could not be reopened, but that the Applicant’s standing regarding the subject-matter of the case and therefore the merits could be reopened. In other words the Court avoided reopening what had been decided (15). 27. This conclusion is not weakened by the claim, in fact made by the Respondent, that it was making a new jurisdictional argument. One would expect any respondent in the same position to claim that it was not repeating old arguments. Again, if those new arguments are about crucial unknown facts, the Court’s Statute designates a procedure to deal with them; if there is obscurity in the Judgment, interpretation under Article 60 of the Court’s Statute can cure it. 28. This being the case, it was curious and, with great respect to my colleagues, regrettable, that the Court should have acceded - in an unprecedented move - to the Respondent’s irregular request to present additional jurisdictional arguments. By doing so, the Court contributed to a further delay in justice regarding something so shocking to decent people as allegations of genocide. Moreover, the misconceived idea of allowing the Respondent to make new jurisdictional arguments at the merits phase, after jurisdiction had been decided with the force of res judicata has, together with its 2004 Judgments, contributed to confusion and contradictions between its different cases and indeed the different phases in the present case with the result that, with the contagion spreading, and those contradictions being quoted back at the Court, the only thing the present Judgment could do was to take refuge in the formalism of res judicata, paragraphs 129-138 being a case in point. 29. Before ending this part on jurisdiction, I should say a few words about the concept of “access”. I believe that the most important application of this concept is with regard to the lack of capacity of non-State actors and unrecognized entities to appear before the Court. This is of course to be expected in an international community made up of States. The debates in the Security Council and the General Assembly regarding non-Member States becoming parties to the Court’s Statute centred on the requirement that the relevant entity be a State (16) - and not on the conditions for participation in the Statute. Apart from the need to ensue equality for the parties before the Court, I fail to see that the distinction between access and jurisdiction entails any significant consequences. Thus, a court is required to ascertain its jurisdiction independently of the consent of the parties, for example when one party does not appear. Moreover, it is not insignificant that while the Respondent was arguing in terms of lack of access, its submission was made in terms of lack of jurisdiction. A contextual approach based on common sense rather than dialectic reasoning should be the guiding criterion in those matters. 30. I am of the opinion that the involvement or implication of the FRY in the genocide that took place in Bosnia and Herzegovina in the 1990s was both more serious in nature and more extensive in territorial scope than the mere failure to prevent genocide in Srebrenica conveys. 31. This implies that the charge that genocide took place also in other parts of Bosnia and Herzegovina and that the FRY was responsible not only for its failure to prevent genocide but for being actively involved in it either as a principal or alternatively as an accomplice or by way of conspiracy or incitement would in all probability have been proven had the Court not adopted the methodology discussed below. 33. In stating this, I am not oblivious to the fact that the ICTY has not, so far, established that the crime of genocide or the other ancillary crimes enumerated in the Genocide Convention have taken place in Bosnia and Herzegovina (apart from Srebrenica) and consequently that genocide is more difficult, though not impossible, to prove. Neither am I unaware that additional difficulties in this regard would stem from the elusiveness of the elements of genocidal intent dolus specialis and from the need to apply high standards of proof given the gravity of the charge of genocide. 34. I believe, however, that the Court could have found genocide and FRY responsibility therefore had it followed a different methodology without of course in any way detracting from the high standard of proof or the rigour of its reasoning. 36. Secondly, the Court applied the effective-control test to a situation different from that presented in the Nicaragua case. In the present case, there was a unity of goals, unity of ethnicity and a common ideology, such that effective control over non-State actors would not be necessary. In applying the effective control test, the Court followed Article 8 of the International Law Commission Articles on State Responsibility (Judgment, paragraphs 402-407). 37. However, with great respect to the majority, a strong case can be made for the proposition that the test of control is a variable one. It would be recalled that some ILC members drew attention to the fact of there being varying degrees of sufficient control required in specific legal contexts (17). The ICTY Appeals Chamber decision in the Tadić case, as reaffirmed in the Celebici case, takes this approach. In the Celebici case, the Appeals Chamber held that: “the ‘overall control’ test could thus be fulfilled even if the armed forces acting on behalf of the ‘controlling state’ had autonomous choices of means and tactics although participating in a common strategy along with the controlling State” (Prosecutor v. Delalic, ICTY Appeals Chamber, 20 February 2001, para. 47). 38. In rejecting the ICTY’s context-sensitive approach, the ILC Commentary to Article 8 does little more than note a distinction between the rules of attribution for the purposes of State responsibility on the one hand, and the rules of international humanitarian law for the purposes of individual criminal responsibility on the other (18). However, it should be recalled that the Appeals Chamber in Tadić had in fact framed the question as one of State responsibility, in particular whether the FRY was responsible for the acts of the VRS and therefore considered itself to be applying the rules of attribution under international law (Prosecutor v. Tadić, ICTY Judgment, IT-94-1-A, 15 July 1999, para. 98). 39. Unfortunately, the Court’s rejection of the standard in the Tadić case fails to address the crucial issue raised therein - namely that different types of activities, particularly in the ever evolving nature of armed conflict, may call for subtle variations in the rules of attribution. In the Nicaragua case, the Court noted that the United States and the Contras shared the same objectives - namely the overthrowing of the Nicaraguan Government. These objectives, however, were achievable without the commission of war crimes or crimes against humanity. The Contras could indeed have limited themselves to military targets in the accomplishment of their objectives. As such, in order to attribute crimes against humanity in furtherance of the common objective, the Court held that the crimes themselves should be the object of control. When, however, the shared objective is the commission of international crimes, to require both control over the non-State actors and the specific operations in the context of which international crimes were committed is too high a threshold. The inherent danger in such an approach is that it gives States the opportunity to carry out criminal policies through non-state actors or surrogates without incurring direct responsibility therefore. The statement in paragraph 406 of the Judgment to the effect that the “‘overall control’ test is unsuitable, for it stretches too far, almost to breaking point, the connection which must exist between the conduct of a State’s organs and its international responsibility” is, with respect singularly unconvincing because it fails to consider that such a link has to account for situations in which there is a common criminal purpose. It is also far from self-evident that the overall control test is always not proximate enough to trigger State responsibility. 40. Thirdly, the Court has also refused to infer genocidal intent from the consistent pattern of conduct in Bosnia and Herzegovina. In its reasoning, the Court relies heavily on several arguments, each of which is inadequate for the purpose, and contradictory to the consistent jurisprudence of the international criminal tribunals. 41. The Court first considers whether the Strategic Goals of the Serbian People in Bosnia and Herzegovina (19) evidence genocidal intent, but concludes that the goals “were capable of being achieved by the displacement of the population and by territory being acquired” (Judgment, paragraph 372). The Court further notes that the motive of creating a Greater Serbia “did not necessarily require the destruction of the Bosnian Muslims and other communities, but their expulsion” (ibid.). The Court essentially ignores the facts and substitutes its own assessment of how the Bosnian Serbs could have hypothetically best achieved their macabre Strategic Goals. The Applicant is not asking the Court to evaluate whether the Bosnian Serbs were efficient in achieving their objectives. The Applicant is asking the Court to look at the pattern of conduct and draw the logically necessary inferences. The jurisprudence of the international criminal tribunals on this point is less amenable to artificial distinctions between the intent relevant to genocide and that relevant to ethnic cleansing than the Court. The Appeal Chamber in Krstić has clearly held that the pattern of conduct known as ethnic cleansing may be relied on as evidence of the mens rea of genocide (20). Coupled with population transfers, what other inference is there to draw from the overwhelming evidence of massive killings systematically targeting the Bosnian Muslims than genocidal intent? If the only objective was to move the Muslim population, and the Court is willing to assume that the Bosnian Serbs did only that which is strictly necessary in order to achieve this objective, then what to make of the mass murder? If the Court cannot ignore that population transfer was one way of achieving the Strategic Goals, then why should it ignore that, in fact, the Bosnian Serbs used this method as one of many - including massive killings of members of the protected group. 42. The second argument the Court relies on bears on the conduct of the ICTY’s Prosecutor and the Tribunal’s jurisprudence on genocide. The Court rejects the Applicant’s argument that the pattern of atrocities committed over many communities demonstrates the necessary intent because it “is not consistent with the findings of the ICTY relating to genocide or with the actions of the Prosecutor, including decisions not to charge genocide offences in possibly relevant indictments, and to enter into plea agreements” (Judgment, paragraph 374). That the ICTY has not found genocide based on patterns of conduct in the whole of Bosnia is of course not in the least surprising. The Tribunal only has jurisdiction to judge the individual criminal liability of particular persons accused before it, and the relevant evidence will therefore be limited to the sphere of operations of the accused. In addition, prosecutorial conduct is often based on expediency and therefore no conclusions can be drawn from the prosecution’s acceptance of a plea bargain or failure to charge a particular person with genocide. While the Court is intent on adopting the burden of proof relevant to criminal trials, it is not willing to recognize that there is a fundamental distinction between a single person’s criminal trial - and a case involving State responsibility for genocide. The Court can look at patterns of conduct throughout Bosnia because it is not constrained by the sphere of operations of any particular accused - and it should have done so. “may, in the absence of direct explicit evidence, be inferred from a number of facts and circumstances, such as the general context, the perpetration of other culpable acts systematically directed against the same group, the scale of atrocities committed, the systematic targeting of victims on account of their membership of a particular group, or the repetition of destructive and discriminatory acts”(21). 44. Relying on the decision in Jelisić, the Appeal Chamber in Krstić also held “[w]hen direct evidence of genocidal intent is absent, the intent may still be inferred from the factual circumstances of the crime” (22). 47. It is regrettable that the Court’s approach to proof of genocidal intent did not reflect more closely this relevant jurisprudence. 48. Fourthly, genocide is definitionally a complex crime in the sense that unlike homicide it takes time to achieve, requires repetitiveness, and is committed by many persons and organs acting in concert. As such, it cannot be appreciated in a disconnected manner. Unfortunately, there are instances in the Judgment where this happens, including on crucial issues such as FRY responsibility for the genocide at Srebrenica. 49. Belgrade’s knowledge of the more general operations in Srebrenica - those geared toward “taking the town” - is amply established (28). In addition, Carl Bildt (European negotiator) met twice with President Milošević and General Mladić together in the midst of the takeover of Srebrenica and the subsequent massacre (29). It is also accepted that General Mladić’s promotion to the rank of Colonel General was handled in Belgrade, and the Respondent’s claim that this last part was no more than some administrative confirmation of a decision made in Pale is unconvincing. The Secretary-General’s report on the fall of Srebrenica relates that Mr. Bildt was joined in his meeting with President Milošević on 14 July by General Mladić - which is the period during which the Court determined that the decision to eliminate physically the whole of the adult male population of the Muslim community of Srebrenica was taken (Judgment, paragraph 423). The Report also highlights that President Karadžić (President of the Republika Srpska) was unaware of the meetings between Mr. Bildt, President Milošević and General Mladić (30). 51. General Mladić’s decisive role in the Srebrenica genocide, the close relationship between General Mladić and President Milošević, the influential part President Milošević played in negotiations regarding Srebrenica (both before and after the genocide), and his own statements as set forth above, each taken alone, might not amount to proof of President Milošević’s knowledge of the genocide set to unfold in Srebrenica. Taken together, these facts clearly establish that Belgrade was, if not fully integrated in, then fully aware of the decision-making processes regarding Srebrenica, while the Republika Srpska itself was excluded. Even after the fact, negotiations following the fall of Srebrenica and the genocide committed there were held simultaneously with General Mladić and President Milošević (32). There can be no doubt that President Milošević was fully appraised of General Mladić’s (and the Bosnian Serb army’s) activities in Srebrenica throughout the takeover and massacres. 52. An even more disturbing feature in the Court’s reasoning is evident in its treatment of the Serbian paramilitary units known as the “Scorpions” (Judgment, paragraphs 289, 389 and 395). 53. Thus, paragraph 389 of the Judgment considers two documents presented by the Applicant, in which there is reference to the “Scorpions” as “MUP of Serbia” and a “unit of Ministry of Interiors of Serbia”. The paragraph notes that the authenticity of the documents was disputed by the Respondent presumably because “they were copies of intercepts, but not originals”. But it is plain that if the Court insisted on original documents, it would never be able to render any judgments. Be this as it may, the other reason advanced to undermine the importance of these documents is that they are not addressed to Belgrade, the senders being “officials of the police forces of the Republika Srpska”. But this in itself does not deny their probative value. When an official of the Republika Srpska sends a telegram to his superior in which the Scorpions are described as “MUP of Serbia” or “a unit of Ministry of Interiors of Serbia”, there is no reason to doubt the veracity of this statement. 54. Consequently, we have here a case of a unit which had been incorporated into the forces of the Respondent - though the date for that incorporation is in dispute - yet the Court concludes that they are not to be treated as de jure organs of the Respondent in 1995, notwithstanding evidence that they were perceived to be such by the Republika Srpska officials. Equally surprising is the Court’s treatment of the statement by the Government of Serbia and Montenegro - after Milošević’s fall from power - to the effect that what happened in Srebrenica was not the work of Serbia, but of the ousted régime. This statement was in fact occasioned by the showing, on national and international television, of the shocking images of the brutal execution of six Muslim prisoners in Trnovo, near Srebrenica, by the Scorpions. The Court failed to take account of this closely connected fact in its appreciation of the status of the Scorpions. However, while the spirit of Article 6 of the ILC’s Articles on State Responsibility is faithfully reflected, it must be noted that on this important question of fact, there is no evidence that the Scorpions were placed at the disposal of another public authority. “Those who committed the killings in Srebrenica, as well as those who ordered and organized that massacre represented neither Serbia nor Montenegro, but an undemocratic régime of terror and death, against whom the great majority of citizens of Serbia and Montenegro put up the strongest resistance. Our condemnation of crimes in Srebrenica does not end with the direct perpetrators. We demand the criminal responsibility of all who committed war crimes, organized them or ordered them, and not only in Srebrenica. 57. The Court has concluded that this statement was of a political nature and does not amount to an admission of Serbian responsibility for the massacres in Srebrenica. To support its refusal to take at face value the plain language of the Serbian Council of Ministers, the Court invokes its decisions in the Nuclear Tests and Frontier Dispute (Burkina Faso/Republic of Mali) cases. These Judgments, however, are neutral in their support for the conclusions the Court draws in paragraph 378. In these Judgments the Court held that declarations made by way of unilateral acts, in particular by highly placed government officials (33), can have binding legal consequences. In determining these consequences, the Court has consistently considered whether the language employed reveals a clear intention (Nuclear Tests (New Zealand v. France), Judgment, I.C.J. Reports 1974, p. 473, para. 47; see also Temple of Preah Vihear (Cambodia v. Thailand), Preliminary Objections, Judgment, I.C.J. Reports 1961, pp. 31-32). Finally, intention must be considered in the context in which the statements were made (the Court is not to presume that the statements were not made in vacuo (Nuclear Tests (New Zealand v. France), Judgment, I.C.J. Reports 1974, p. 474, para. 52)), and in the general framework of international discourse. 58. Indeed, the opposite conclusion from that reached by the Court in paragraph 378 is supported by the cited jurisprudence. To the extent that the effect of a unilateral act depends on the intent behind it and the context within which it was made, one need only consider this: the Serbian Government at the time was attempting to distance itself as a new and democratic régime - from the régime which had come before it, in light of the revelation of horrible crimes committed by paramilitary units (the Scorpions) on national Serbian and international television. The intent was to acknowledge the previous régime’s responsibility for those crimes, and to make a fresh start by distancing the new régime therefrom. A clearer intention to “admit” past wrongs cannot be had. 61. The Court’s lack of application of the jurisprudence it does invoke, and failure to invoke jurisprudence more directly on point is unfortunate. The Serbian Council of Ministers’ statement, taken in the context of the other evidence available to the Court, certainly amounts to an admission of the responsibility of President Milošević’s régime for the massacres in Srebrenica, which the Court has determined amount to genocide. 62. The Court has absolved Serbia from responsibility for genocide in Bosnia and Herzegovina -- save for responsibility for failure to prevent genocide in Srebrenica. It achieved this extraordinary result in the face of vast and compelling evidence to the contrary. This result was however a product of a combination of methods and techniques the Court adopted that could not but have led to this result. In the first place the Court refused to inform itself regarding the twin questions of intent and attributability, the most elusive points in proving the crime of genocide and engaging State responsibility for it. At the same time, the Court refused to translate its taking note of the refusal to divulge redacted materials into concrete steps regarding the onus and standard of proof, thereby putting the Applicant at a huge disadvantage. If this was not enough, it required in addition too high a threshold for control and one that did not accord with the facts of this case nor with the relevant jurisprudence of the ICTY. The Court likewise failed to appreciate the definitional complexity of the crime of genocide and the need for a comprehensive approach in appreciating closely related facts, the role of General Mladić and the Scorpions in Srebrenica being a prime example. Moreover, where certain facts did not fit the Court’s conclusions, they were dismissed with no justification, the statement of the new Government of Serbia being also a case in point. I am certain that as far as Srebrenica is concerned, FRY responsibility as a principal or as an accomplice is satisfied on the facts and in law. I am of the opinion also that with regard to other parts of Bosnia and Herzegovina, had the Court followed more appropriate methods for assessing the facts, there would have been, in all probability, positive findings as to Serbia’s international responsibility. 1 - As was the case, for e.g., with the Union of Soviet Socialist Republics. 2 - United Nations doc. A/46/915 (1992), 7 May 1992, Ann. II. 3 - Security Council resolution 757 (1992), 20 May 1992. 4 - Security Council resolution 777 (1992), 19 September 1992. 5 - General Assembly resolution 47/1 (1992), 22 September 1992. 6 - See Michael Scharf, “Musical Chairs: The Dissolution of States and Membership in the United Nations”, Cornell International Law Journal, 1995, Vol. 28, pp. 58-62. 7 - United Nations, Official Records of the General Assembly, Sixth Committee, Second Session, 43rd meeting, 1947, pp. 38-39. 8 - See Michael Scharf, “Musical Chairs: The Dissolution of States and Membership in the United Nations”, Cornell International Law Journal, 1995, Vol. 28, p. 53. 9 - Yehuda Blum, “UN Membership of the ‘New’ Yugoslavia: Continuity or Break”, American Journal of International Law, 1992, Vol. 86, p.830. 11 - Security Council resolution 821 (1993), 28 April 1993, para. 1. 12 - See e.g., Article IV of the Joint Declaration of the President of the Republic of Serbia and the President of the Presidency of Bosnia and Herzegovina, which stipulates that “Bosnia and Herzegovina accepts the State continuity of the Federal Republic of Yugoslavia”, United Nations doc. A/51/461 – S/1996/830 (1996), 7 October 1996. 13 - See Maria Chiara Vitucci “Has Pandora’s Box Been Closed? : The Decision on the Legality of Use of Force cases in relation to the Status of the Federal Republic of Yugoslavia (Serbia and Montenegro) within the United Nations”, Leiden Journal of International Law, 2006, Vol. 19, p. 114. 14 - Paragraph 5 of General Assembly resolution 43/138 (8 December 1988) urges those States which have not yet become parties to the Convention to ratify it or accede thereto without further delay. 15 - For an analysis of other cases supporting the proposition that decided jurisdictional matters may not be reopened see in particular paragraphs 127-128 of the Judgment. 16 - Shabtai Rosenne, The Law and Practice of the International Court, 1920-2005, Vol. II, p. 599. Official Records of the General Assembly, Fifty-third Session, Supplement No. 10, United Nations doc. A/53/10 and Corr. 1, para. 395. Commentaries, Cambridge University Press, 2002, p. 112.
authorities within each part (Judgment, paragraph 371). 27 September 2006, para. 854. 21 - Jelisić, IT-95-10-A, Judgment of 5 July 2001, para. 47; Jelisić, IT-95-10, Judgment of 14 December 1999, para. 73. 22 - Krstić, supra note 20, para. 34. 24 - Georges Rutanga, ICTR-96-3-A, Judgment of 26 May 2003, para. 525. 25 - Musema, ICTR-96-13-A, Judgment of 27 January 2000, para. 167. 26 - Kayishema, ICTR-95-1-A, Judgment of 1 June 2001, para. 148. 27 - Kayishema, ICTR-95-1, Judgment of 21 May 1999, para. 93. 28 - Netherlands Institute for War Documentation, Srebrenica - a ‘safe’ area. Reconstruction, background, consequences and analyses of the fall of the Safe Area, 10 April 2002, Chap. 7. 29 - Report of the Secretary-General pursuant to General Assembly resolution 53/35, “The Fall of Srebrenica”, United Nations doc. A/54/549 (1999), p. 81, para. 372. 30 - Report of the Secretary-General pursuant to General Assembly resolution 53/35, “The Fall of Srebrenica”, United Nations doc. A/54/549 (1999), p. 82, paras. 373-376. 31 - Prosecutor v. Milosevic, ICTY Judgment, No. IT-02-54, Transcript of 16 December 2003, pp. 30494-30495. 32 - Ibid., p. 85, para. 392. 33 - In Nuclear Tests (New Zealand v. France), Judgment of 20 December 1974, the Court specifically holds that “there can be no doubt, in view of [the French President’s] functions, that his public communications or statements, oral or written, as Head of State, are in international relations acts of the French State”, p. 474, para. 51.